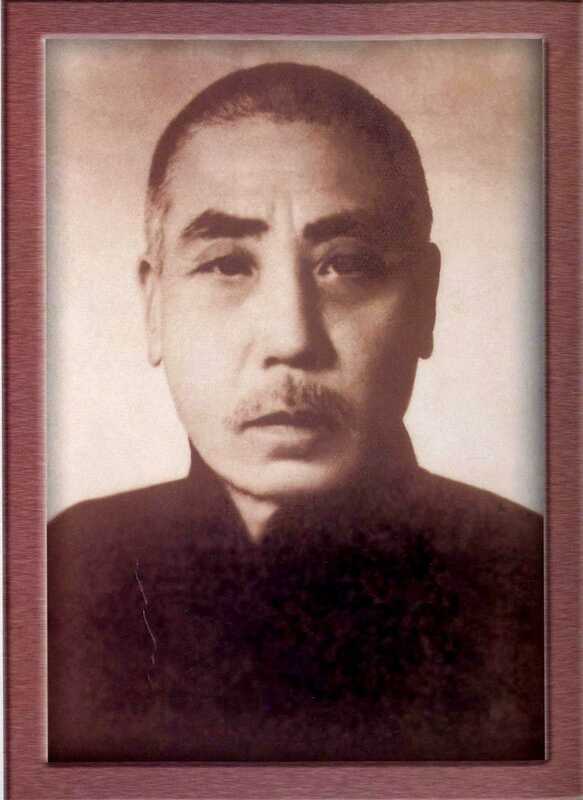 Chen Fa Ke, 17 th generation; the last Chen family head (grand master.) He was the official representative of the family gongfu. When his nephew Chen Zhaopi (ZhaoPei) was asked to teach in Beijing due to his great gongfu he told interested students that they should study with his uncle, who was the family master. Chen FaKe was invited to Beijing and lived there teaching until he passed in the late 1950’s. 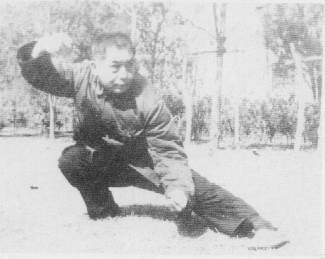 Although his –formal education was little, he was known to have had a high level of Wu De (martial arts virtue.) His skill was great and taught many well known practitioners including; Hong Jun Sheng, Lei Mu Ni, Tian Xiu Chun, Feng Zhi Qiang, and Gu Liu Xing. 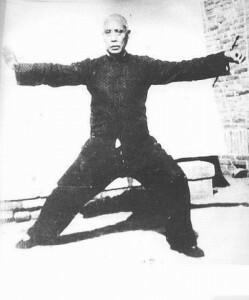 His own personal style was later referred to as Xin Jia (New frame,) That title is mis-given as every practitioner has a unique approach. Every frame is new and different. It is said that his style of practice was very “big and beautiful “(-Feng Zhi Qiang.) He was capable of very strong internal power. His students feared the consequences of touching hands with him. He changed some elements of his practice later in his life. There may have been some difference between what he practiced and what he taught, or how he taught different students, as all of his students’ gongfu looks different. Chen Zhao Kui, 18th generation, son of Chen FaKe. He was born and spent most of his life in Beijing. He studied his father’s gongfu, developed a very high level of skill and devoted his life to teaching and preserving the art during the difficult times of the 1960’s and 70’s in China. Chen Zhao Kui’s gongfu was widely recognized for it’s clarity, power and joint manipulation (Qin Na) technique. 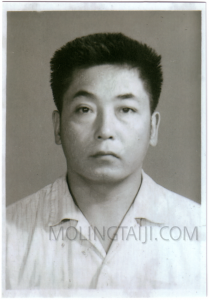 His frame looks a bit different from some students of his father, as he was within the family and what is passed from father to son is usually of special importance in Chinese gongfu. He is responsible for bringing the Family gongfu back to Chen Jia Gou and teaching it to Chen XiaoWang, Chen Zheng Lei, Wang Xi An, and Zhu Tian Cai among others. Apparently it was only he who taught the fighting applications in Chen Village at that time. He was a very tough and strict teacher. His form was very complex and grueling to practice. Many searched him out for instruction. He inspired a large number of Chen Taijiquan practitioners with his skill. He is responsible in for preserving and passing Chen Taijiquan to a number of people who had the opportunity to learn from him, though very few learned for any long amount of time. He passed away in the 1981. During the 1970’s Chen ZhaoKui made more than 17 trips to Shanghai, ZhengZhou, JiaoZuo, ShijiaZhuang, and ChenJiaGou. His son Chenyu accompanied him on most of these trips at which time ChenZhaoKui taught students; Chen XiaoWang, Chen ZhengLei, Wang XiAn, Zhu TianCai, Chen DeWan, Chen LiZhou, Zhang MaoZhen, Zhang QiLin, and Mahong among others. He had many students and did much to spread Chen Taijiquan to the public, but he had no disciples. Although his positive influence has given the art to a number of peope who have developed his teaching to a high level and both practice and teach it. Chen Yu, 19th generation, only son of Chen Zhao Kui. He started study with his father at the age of 7 and has gongfu that most closely resembles his father’s as he is the one who stayed with, cooked for, and traveled with his father. His gongfu is painful to practice, and painful to receive. The emphasis is on body connection and development of practical internal power. His body method is like a wave that rolls through the body ending in an explosion. He is not world famous and has kept to himself practicing and working for years, but in martial arts circles in China, he is known to have powerful expression (Fa Jin) and furious Qin Na capabilities. He can literally express power with any technique at any point. 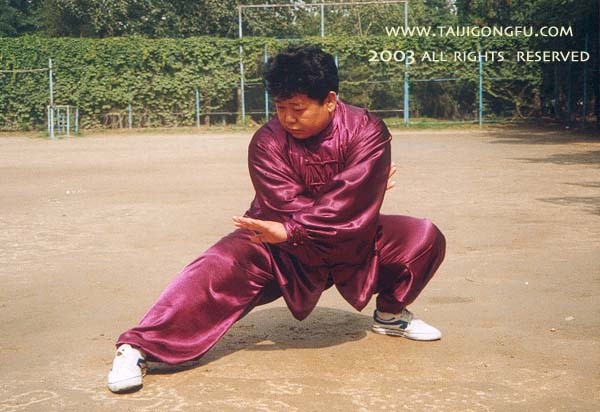 He is one of very few living Taiji quan practitioners with the higest level of development. He has a big heart and is a very generous teacher as well. MORE about Master ChenYu here.